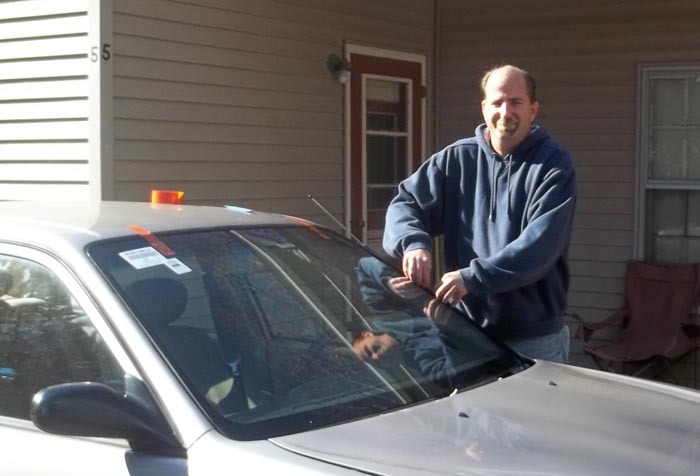 Corey, The Glassman, has been working in the auto glass business since 1997. With his vast experience, expertise and technical know-how he decided to strike out on his own and start his own auto glass business. In 2010 The Glassman - Auto Glass Specialists was born! Beginning in Swansea, MA, The Glassman's area of service has expanded to include Bristol County in Southeastern Massachusetts. Through hard work and dedication, The Glassman also services Providence, RI and the entire state of Rhode Island. Specializing in windshield chip repair and replacement for auto glass and windshields, The Glassman is dedicated to bringing all customers quality service every time. The Glassman doesn't cut corners and takes his time on every job to make sure everything is done right and according to all safety procedures. When you choose The Glassman you can rest assured that he will treat your vehicle as his own! Unlike other companies that always send a different technician out whenever you call them, you always know who you're going to get when you call The Glassman. The Glassman is accredited with the Better Business Bureau and every job is guaranteed! If you live in Southeastern Massachusetts or anywhere in Rhode Island, give The Glassman a call. We have the experience and expertise to guarantee a perfect fit every time!